The Mountain Buggy Nano is a perfect choice for families looking for a travel stroller or a compact option where space is at a premium. The Nano has one of the smallest folds on the market – so small it can be taken on board many airlines as carry on luggage. 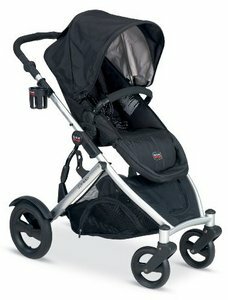 I looked into many options when I wanted a travel stroller for my new baby. 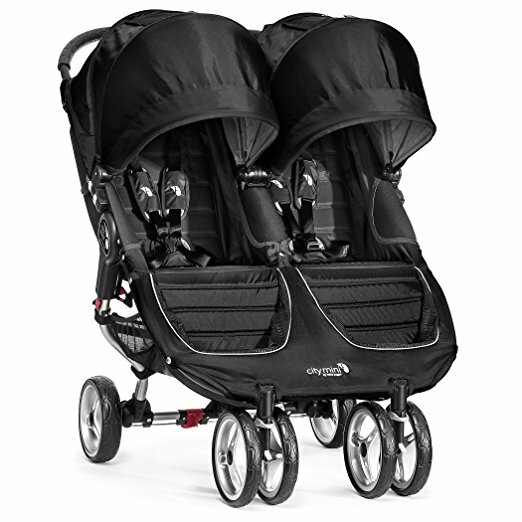 This is the best option if you want a stroller with a super compact fold that is suitable from birth. It does require a Cocoon Carrycot to use with babies less than 6 months old, but having a bassinet can be useful for many reasons anyway. 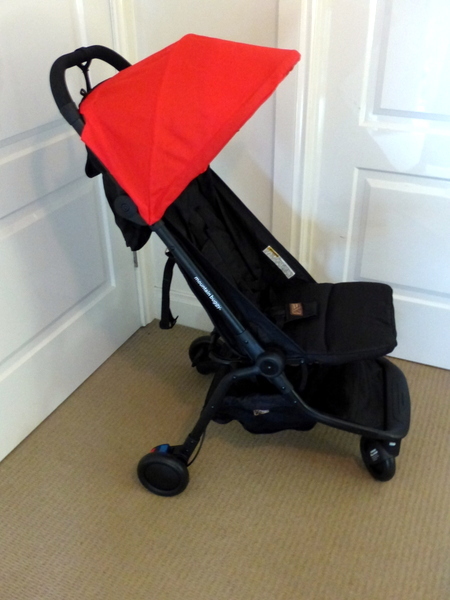 We found this a great little travel system which we used out and about, not just when travelling. 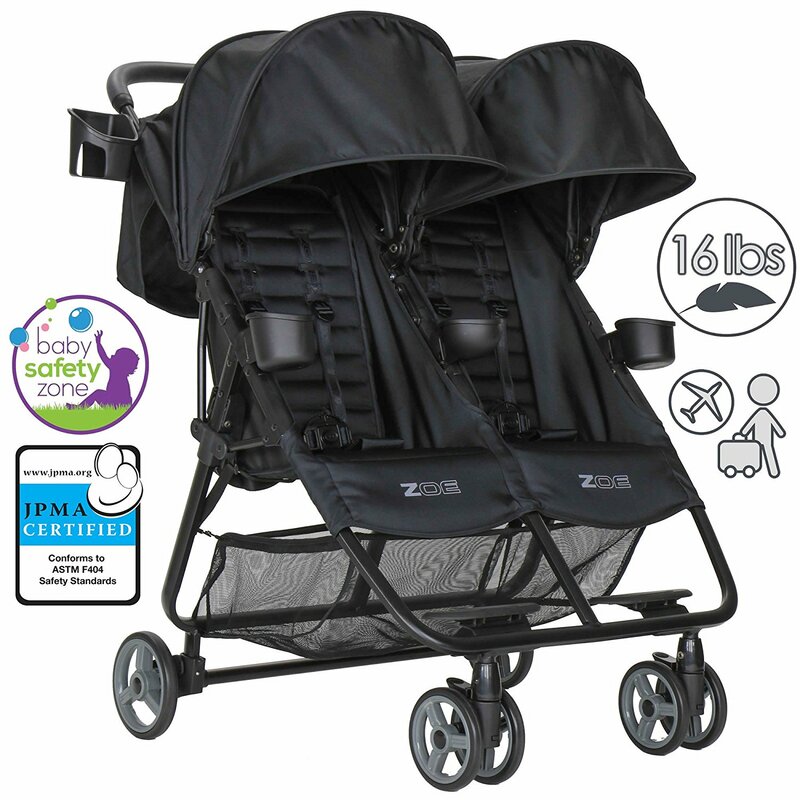 The stroller also has a small storage basket underneath, a good recline on the seat, a sun canopy and is big enough to fit a 4 year old comfortably. I do not find it as nice to push as my bigger Valco Baby Snap Ultra, but this is a downside of all the compact travel strollers. 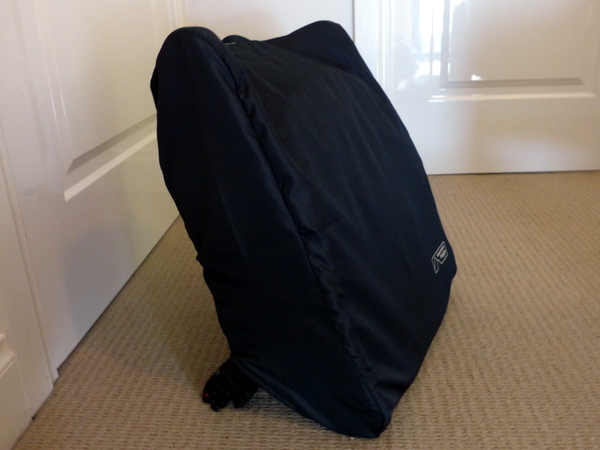 Attachable carrycot (cocoon) or a car seat can be added to make a travel system. 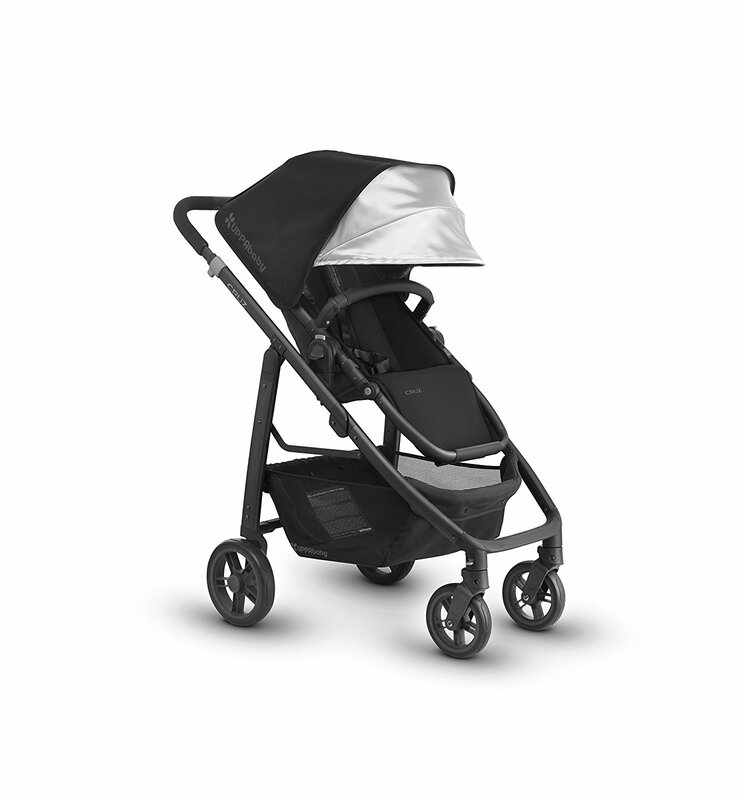 The biggest pro of the Mountain Buggy Nano is definitely its fabulous small fold. You can see it pictured below in its carry bag, ready to join us on board our flight. It’s also lightweight and small when assembled meaning it’s unlikely that you will ever need to push it into a space where it doesn’t fit. 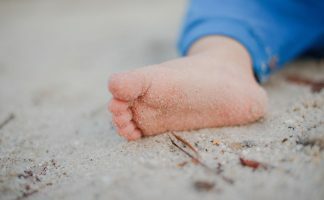 At the same time, it also fits kids up to 4 years old without a problem. It’s a lightweight option at only 13 pounds. 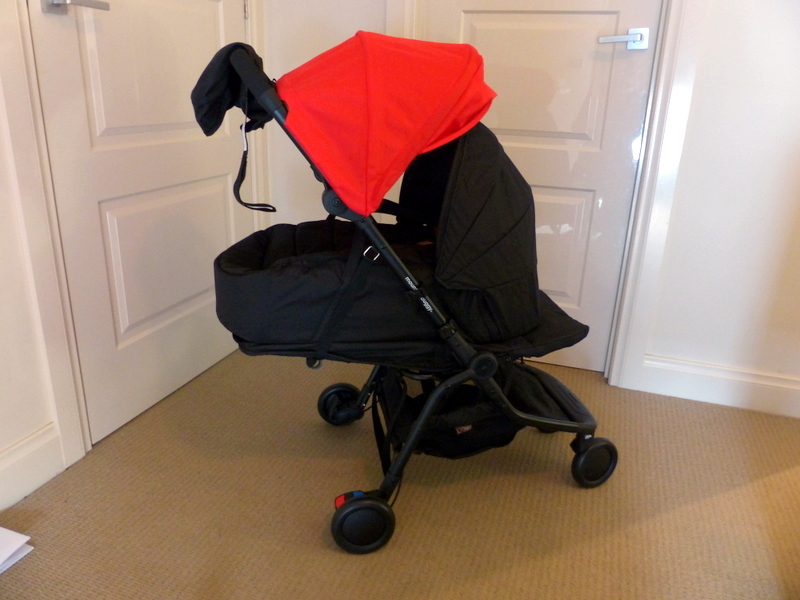 Another big plus is that it has an in built car seat adapter and an optional carrycot meaning that it can easily convert into a travel system. I have only found two cons with this stroller. 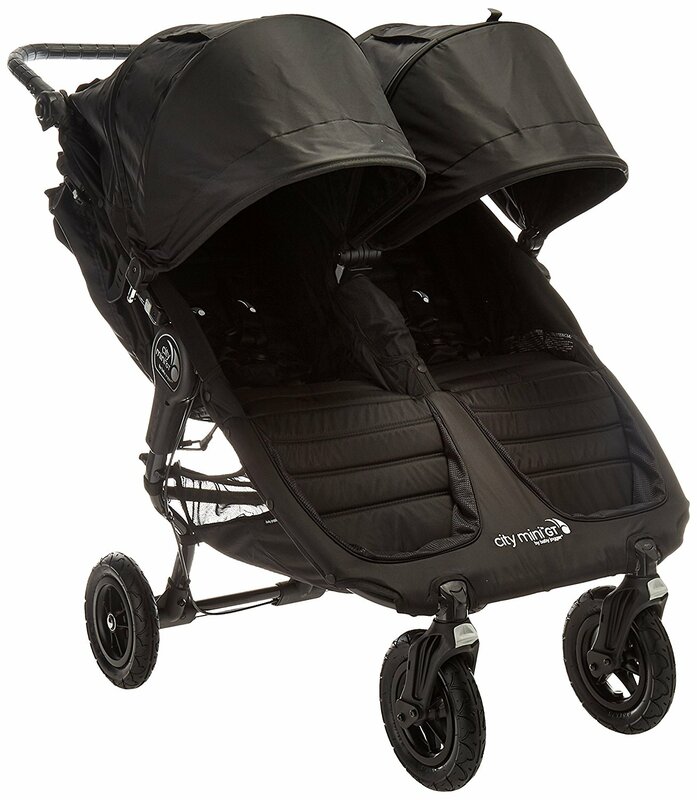 Firstly, if you have the cocoon attachment (like in the photo above), the hood on the cocoon and the sun canopy on the Nano make it impossible to see your baby when pushing the stroller. Annoyingly, the only other position for the sun canopy is right on the handlebar which is uncomfortable. 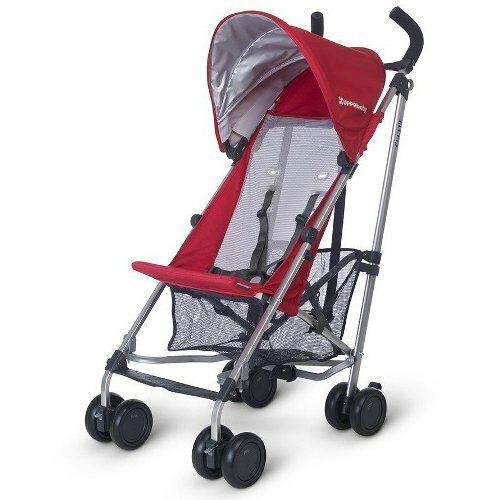 Secondly, the stroller has good maneuverability but it is tougher to push than a bigger stroller. 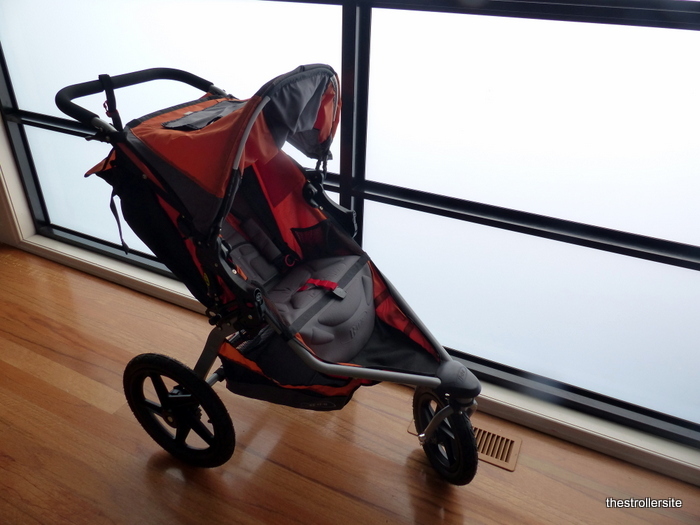 We love this stroller and it has been perfect for the need that we bought it for – travel. 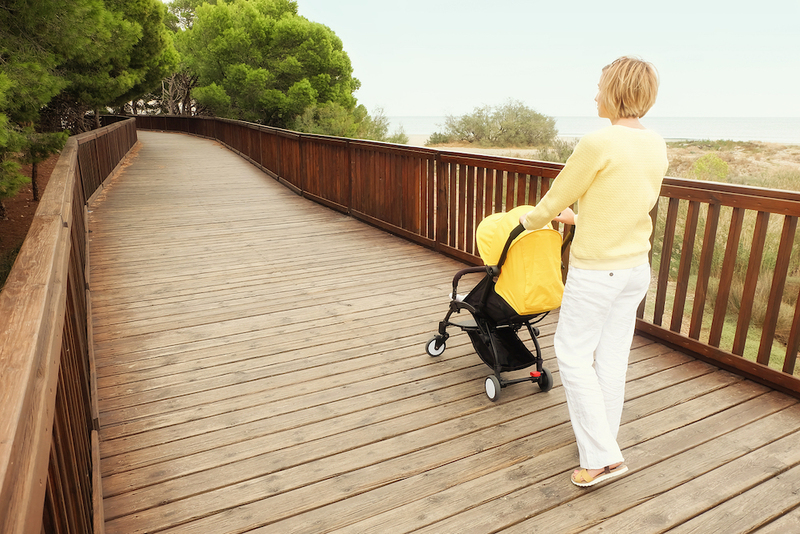 We also use it out and about at home when we want to use a smaller stroller. The cocoon attachment has worked well with our new baby. 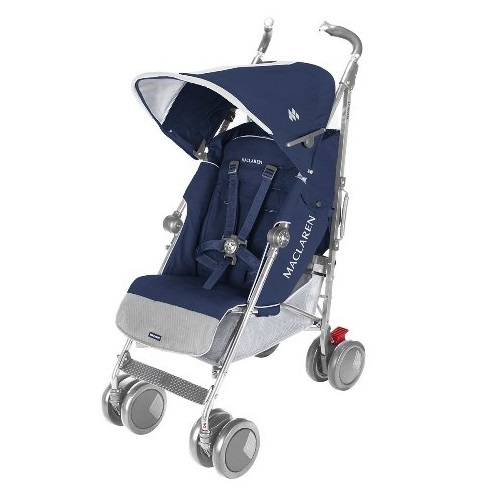 It wouldn’t be my first choice of a stroller to use full time as it is not as easy to push as bigger options such as the Valco Baby Snap Ultra or the Baby Jogger City Mini 3W. 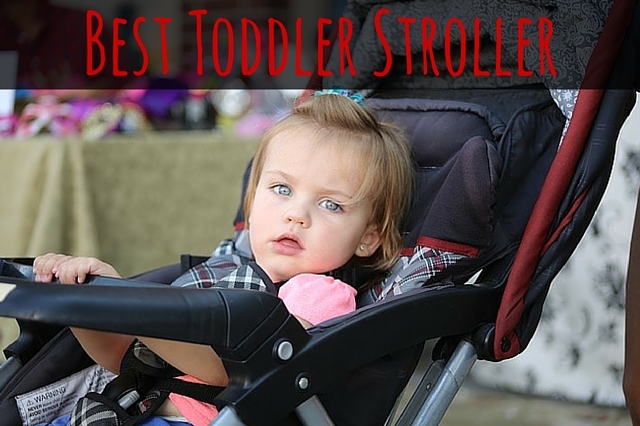 However, it is a superb choice for a second stroller for travel. Still undecided? 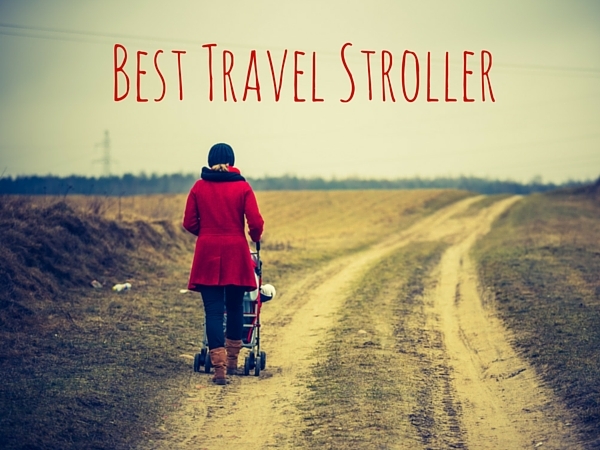 Check out our guide to buying a travel stroller. 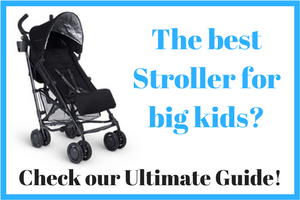 If you want a stroller perfect for city living, you may also appreciate our guide to the best strollers for NYC.